One of the big three hatchbacks (new Swift, Honda Brio and Etios Liva) which is supposed to create a shakedown in the market is finally out of the bag. Displayed at the Delhi Auto Expo in 2010 as a concept car and under testing ever since, the Toyota Liva was launched 3 days ago in Delhi with a base price of 3.99 lakhs (ex Delhi). Here is the surprise, in just 2 days, the Toyota Liva has registered 1,005 bookings from all across the country! The Liva doesn't make you go wow, an aspect tech-savvy youngsters might miss. There's no complexity or diverseness in the Liva's design. Like other Toyota vehicles its function over form in the Liva. You can host a golf tournament inside the cabin and drive to the moon and back with a tank full of petrol. With 251 liters of boot space and a 20 liters of storage space (you can fill the glovebox with nine 500ml bottles and place seven 1 liter bottles at different places across the cabin) you could do shorter cross-continent trips in the Liva with five people in comfort. The Liva's an Indica designed by the Japan. The idea of providing the middle class with an affordable, spacious and fuel-efficient car is what Mr Tata set out to do in the mid 90s. 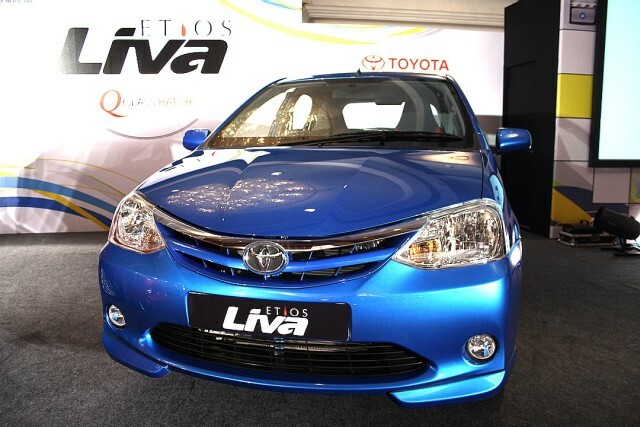 The Liva is more an Indica than a Swift, though it is hunting down the latter with its low price tag and legendary Toyota brand name.